We had so much fun writing Haikus! We read Grandfather’s Journey which is a wonderful biography about a Japanese man who travels back and forth from the US to Japan. He longs to see the beauty of each country. His grandson, who is the author, gets to know his grandfather more when he decides to travel to the US to have the same experience. Then his grandfather’s stories come alive! 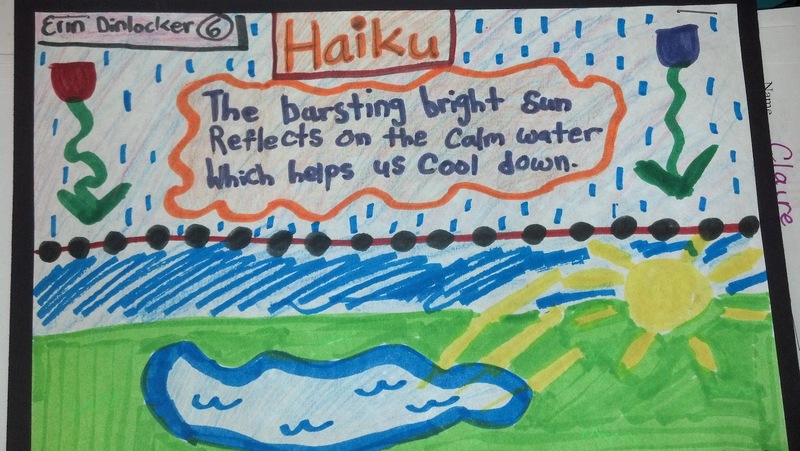 I used this slide from my poetry unit to teach the students the Haiku pattern. They paste the mini version of it in their poetry journals and start to write! Here are some student examples! They turned out really cute. 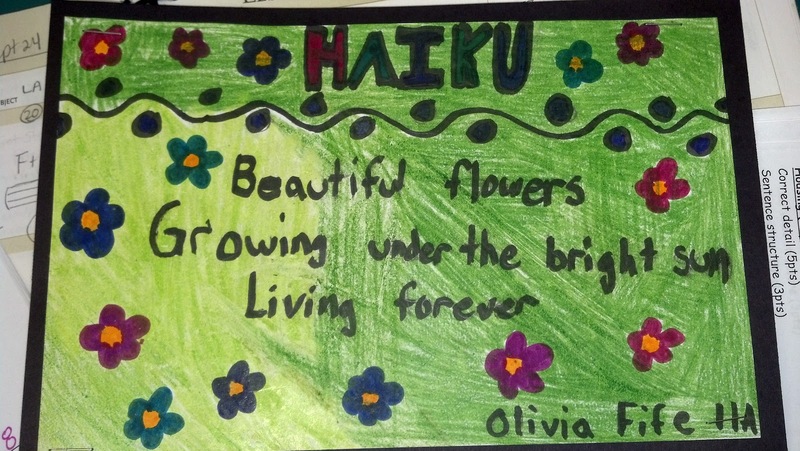 I picked two of them to post under the Haiku poster in my room and then I chose several to post on my writing bulletin board.